I've been thinking for a while about making my own little tabs and tags to print and cut out to use in my Project Life album. And here's a link to the PNG file with transparent background. It's 32mb though. Now, the circles are supposed to be 1", but when I printed it, they were a little smaller than that and I couldn't be bothered to muck around with printer settings tonight. The background is 8.5"x11", not A4. So you've been warned if they print slightly smaller. I'm also thinking about making some of them larger, so there may be a version 2 at some stage (don't hold me to it). Your digi designer career awaits! I printed these on transparency film. They turned out great. Thanks so much! You are awesome. Thanks, for all the hard work! I just started my Project Life "journey" and I'm honestly not sure if/where I'll use these - but I wanted you to know I think they're ADORABLE! I printed them at full-size (not scaled to "fit to page") and borderless and the circle elements came out at a perfect 1" size. I can not imagine the work you put into these!! Thank you for sharing them so generously! Thanks for sharing ... These are great! I used them on my january pl lo's. Thanks for sharing! I printed them and used them on my january pl lo's - very fun! I can't download this for some reason. "The Box" won't let me. Anyone else having this problem? Oh bugger! Can you click on the preview picture at The Box to enlarge it and then just Save As? I'm not suer why it's stopped working. I'll keep trying to work it out! I tried again after I had signed in and it worked. Unless you have to sign up? love these, thanks for the printables. I was wondering if you had a tutorial of how you did these roughly in photoshop. im new to photoshop and tryinfg to figure it all out lol. That's an idea. If I get a chance, I will see how I go. Ooh, favourite spelt my way, thanks so much Beth! Email is on it way! Could you email to me at ladepriest@hotmail.com, also? Love these! They are fabulous! I am very new in this project life thing. I will try to print and make it. Thank you for sharing. Hi! I can't download the file. Can you e-mail it to me? 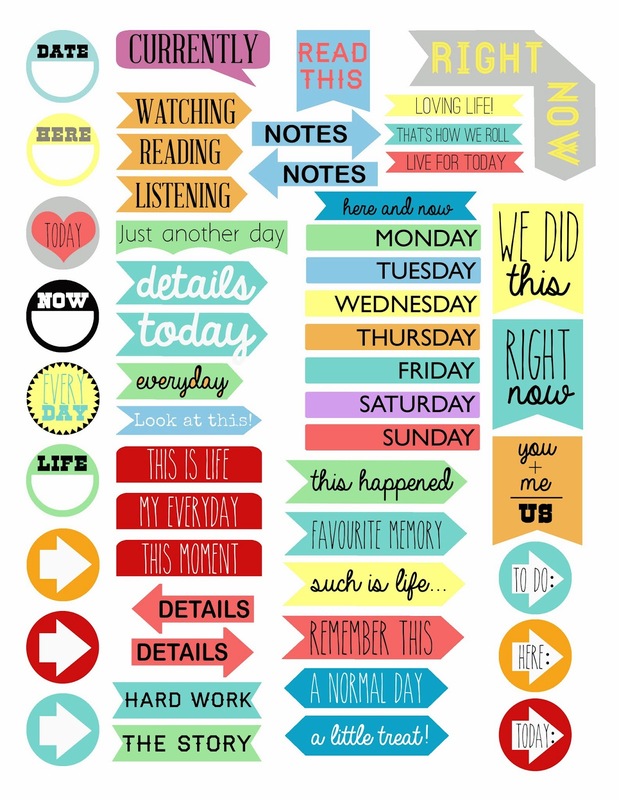 Thank you so much for this lovely Printable Tabs.